黄佳慧, 薛媛媛, 卢仁杰. 2008—2017年苏州沿江三市主要入江支流水质变化特征[J]. 环境监控与预警, 2019, 11(2): 45-49. HUANG Jia-hui, XUE Yuan-yuan, LU Ren-jie. 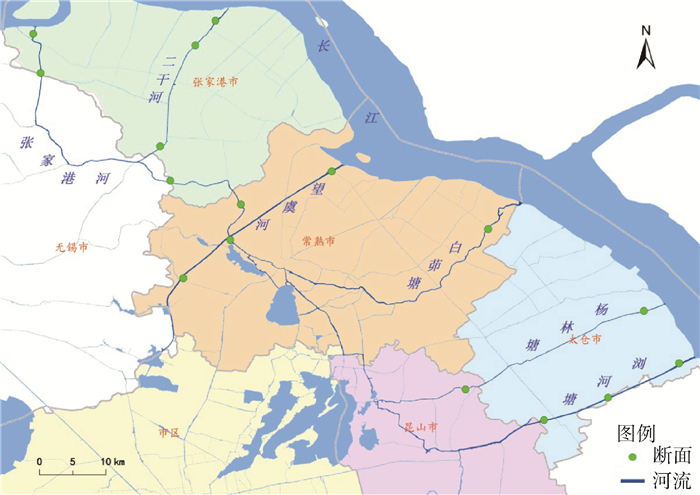 Study on the Change Characteristics of Water Quality in the Main Branches of Yangtze River in 3 Cities of Suzhou in 2008—2017[J]. Environmental Monitoring and Forewarning, 2019, 11(2): 45-49. Abstract: The single factor evaluation method and Spearman correlation method were conducted to analyze the characteristics of water quality changes of 3 cities of Suzhou City (Zhangjiagang, Changshu, Taicang)from 2008 to 2017. 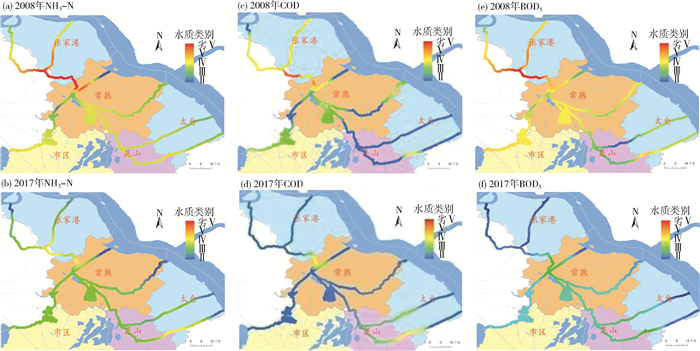 The results demonstrated that the water quality of the tributaries of Yangtze River have been improved, among them, Zhangjiagang and Taicang showed significantly improved and slightly improved while Changshu kept stable. While the water quality of the branches of Changshu remained stable. NH3-N, COD and BOD5 were observed to be the main pollutants during the past ten years. The ratio of pollutants which are better than class Ⅲ generally showed an upward trend, except for the rebounds during 2014—2016. In 2017, the water quality of the tributaries of Yangtze River was generally at level Ⅲ. 续衍雪, 吴熙, 路瑞, 等. 长江经济带总磷污染状况与对策建议[J]. 中国环境管理, 2018(1): 70-74. 陈进, 刘志明. 长江20年长江水资源利用现状分析[J]. 长江科学院院报, 2018, 35(1): 1-4. 国家环境保护总局, 国家质量监督检验检疫总局.地表水环境质量标准: GB 3838—2002 [S].北京: 中国环境科学出版社, 2002. 杜永, 侯玉婷, 唐韧锋, 等. 神定河口水质变化分析与评价[J]. 安全与环境工程, 2016, 23(4): 95-98. Environmental Monitoring and Forewarning, 2019, 11(2): 45-49.